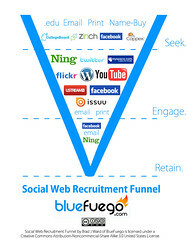 Social Web Recruitment Funnel (last updated 5/13/2009) by Brad J Ward, Chief Explosion Officer at BlueFuego. Creative Commons Attribution-Noncommercial-Share Alike 3.0 United States License. Attribute to Brad J Ward of BlueFuego.com. 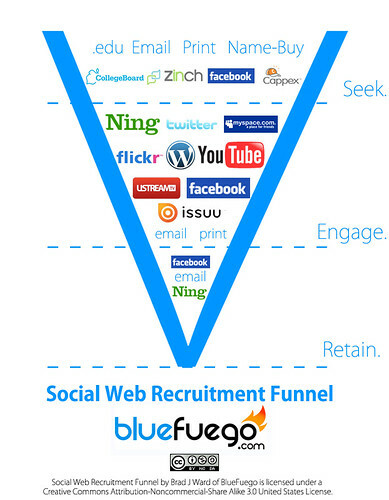 Are you ready to Ignite the Fuego at your institution? Contact us today..